Children’s Hospital of Michigan and University Pediatricians are actively seeking an additional Pediatric Hematology/Oncology physician for a full-time opportunity in Detroit, MI. The Division is comprised of 16 physicians, 6 fellows, 5 nurse practitioners, 22 RNs, 3 hem-onc pharmacists, and a clinical and research support staff of 17 division members. The Division treats over 125 new oncology patients and performs over 20 stem cell transplants each year. The annual patient census is approximately 10,000 outpatient visits per year, which are in a newly renovated outpatient clinic with 24 individual exam/infusion rooms and a dedicated inpatient Hematology/Oncology and Stem Cell unit with 32 beds. In 2016, a new outpatient ambulatory medical-surgical, mini-pediatric hospital with infusion and transfusion capabilities opened in Troy, MI. A new inpatient towner opened in 2017 on the main medical campus. The Division is affiliated with the NCI-designated comprehensive cancer center; The Barbara Ann Karmanos Institute, which is situated on the medical campus of the Wayne State University’s School of Medicine. The Division holds three Endowed research chairs for both oncology and hematology research. Children’s Hospital of Michigan is ranked among the Best Children’s Hospitals in the U.S. News and World Report 2017-2018. An interest in academics is preferred as the Department of Pediatrics supports the academic mission and training programs for Detroit Medical Center, Children’s Hospital of Michigan, and Wayne State University’s School of Medicine. Candidates must be BE/BC with an active Michigan license (or in progress). 2018 candidates and all qualified candidates are encouraged to submit their current CVs for immediate consideration. All inquiries are kept strictly confidential and no personal information is shared outside the Tenet network. The Children's Hospital of Michigan engages in groundbreaking research that has long shaped the science of pediatric medicine. 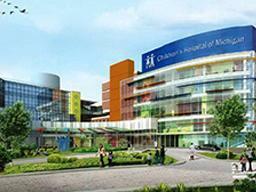 The hospital is ranked as one of America's best pediatric hospitals by U.S.News & World Report and Parent Magazine.